“The date is still not scheduled,” Dr Marc Henzelin, a Geneva-based lawyer retained by Justo’s wife in Switzerland, said after visiting his client, who is in remand in Thailand, earlier this week . On July 24, Mr Tong Kooi Ong and Mr Ho Kay Tat, chairman and publisher respectively of Malaysia’s The Edge Media Group, confirmed they had agreed to buy the data and had not paid him. 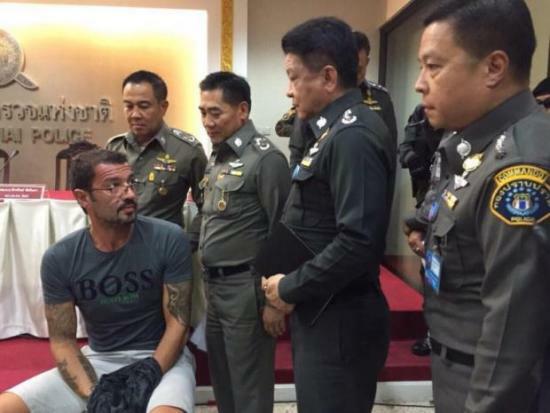 Justo, 48, was arrested by Thai police at his house in Koh Samui on June 22. He thereafter signed a full confession and, in an interview on July 23 with The Straits Times in jail, detailed how he had met a group of buyers in Bangkok and Singapore to sell them the data (which he stole from the company). “He is pleading guilty, so there will not be a full hearing with witnesses, because the verdict is already done,” Dr Henzelin said over the phone from Geneva. “The fact that he pleads guilty will be a mitigating circumstance. The fact that he collaborated with the police and made confessions will be taken into consideration by the judge. This has to be pleaded by the Thai lawyer and I’m sure he will,” Dr Henzelin said. The lawyer said he had been told that the sentence could range from six months to 11/2 years. Under the terms of a treaty between Thailand and Switzerland, if Justo has less than a year to serve, he could be transferred to do the time in Switzerland. But if he had to serve it in Thailand he would accept that, Dr Henzelin said.